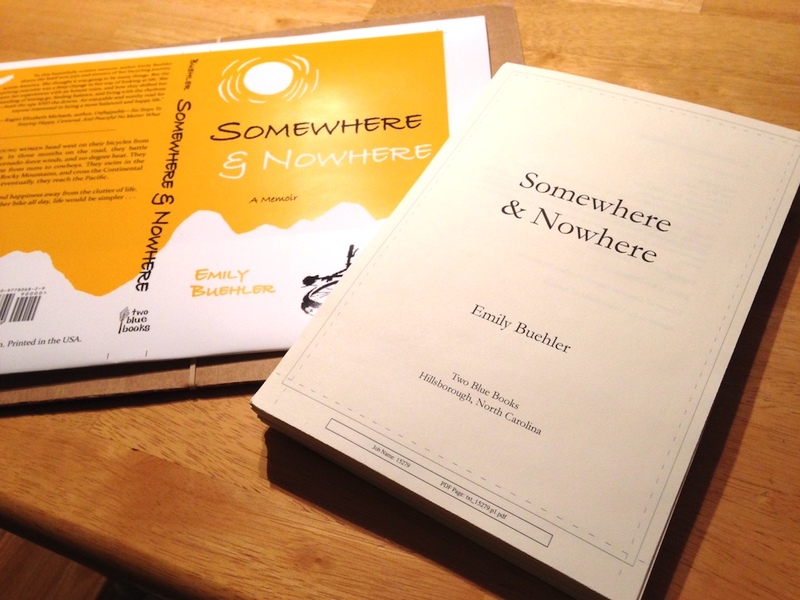 This week I received my proofs from the printer! Other than the cover being a bit brighter than anticipated, they look like I hoped they would. But instead of being excited, I just feel mildly sick. Was I crazy to write such a personal memoir to share with the public? Have I failed to protect the privacy of anyone, in spite of how careful I was with details? Is it bad that I have no marketing plan? Then I remembered that this was pretty much how I felt in the months leading up to the bike trip: Was I crazy? Had I forgotten something major? Was it foolish not to have more of a plan? And the bike trip turned out to be the most positive, life-changing undertaking of my life. So probably this book will turn out to be okay, too. I have since decided to plan a book launch party. The library often hosts them, so I wouldn’t have to find a willing bookstore (which might be hard because the book is self-published), and I probably have enough friends who’d come that the room wouldn’t be awkwardly empty. So stay tuned! The book should soon be here. This entry was posted in My News on March 12, 2017 by Emily.